We are Surf Paradise Morocco! Happy, adventurous, sustainable, creative, social, playful, personal, active, spontanious, fair, motivated, and full of passion! Surf Paradise Morocco is a surfcamp in Tamraght Morocco. In the beautiful surfcamp on the hill of Tamraght we host surfers, yogi’s and travellers from over the world. Professionality and quality and passion are our keywords. Surf classes given by a pro-surfer combined with a perfect place to eat, drink, relax and enjoy the amazing ocean and coastline views. We have a seating inside and outside on the terraces overlooking the ocean. We can arrange lunches or dinners for small groups or large events. Our main goal is to organise unforgettable surf and yoga holidays for young travellers. 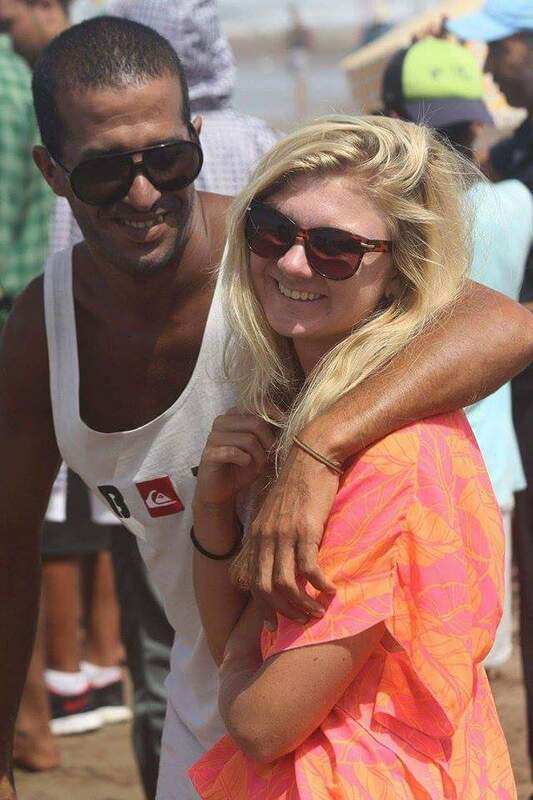 Suzanne and Zouhairs passion for Morocco, surfing and travelling has brought us to start this project. Surfing is our love and we want to share it’s deep passion with the rest of the world. Many people are still unfamiliar with this beautiful country. Morocco therefore isn’t very touristic yet. This inspires us even more to let you het a taste of the beautiful moroccan culture with all it’s beauty. hospitality and rawness. As young as he was, he was always surfing, and progressing fast. Before he knew he won the Moroccan championship, and was playing in a lot of surf competitions. However he really liked to play the competitions and was surfing on a high level, Zouhir his preference is to teach others. 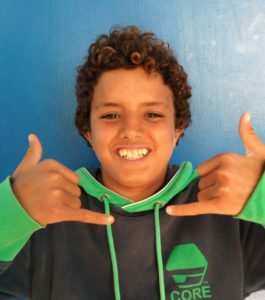 He coached a lot of young talented surfers on their way to a higher level for the Moroccan surf federation. On his road of surfing, he met a lot of surfers from all over the world. 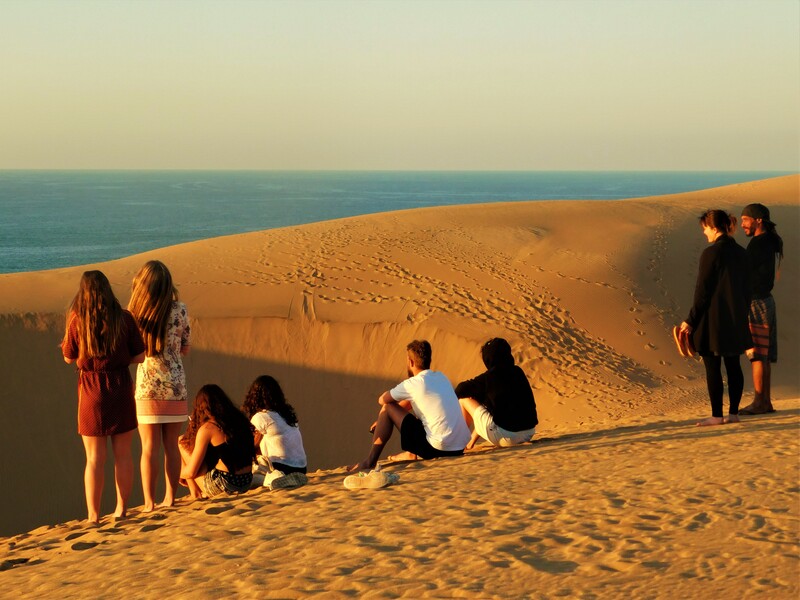 He loved the time that his friends came to Morocco. 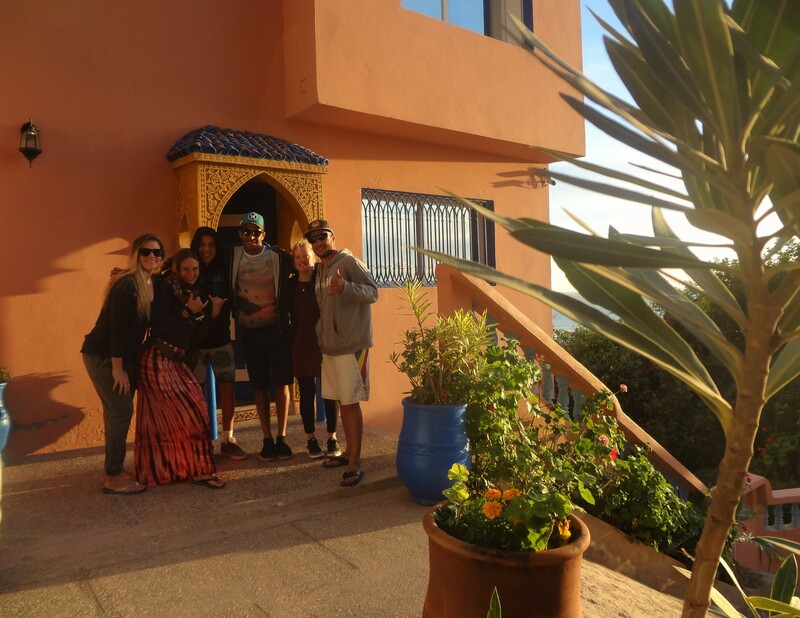 He welcomed them, they stayed over and he showed the best spots in Morocco and surfed together. More and more friends came over so he decided to start his own project. Surf Paradise Morocco together with his wife Suzanne. 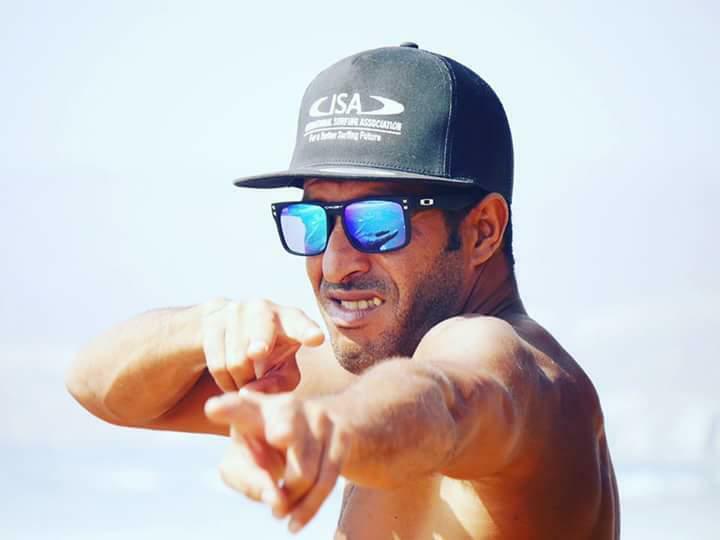 Now Zouhir is taking the responsibility over the surfschool, surflessons, coachings and guidings. Dreaming about waves, Suzanne came to Morocco. She found love in the beautiful raw country and with the man of her dreams. Under the sun she was able to grow her company with Zouhir. Nowdays she is in contact with you online, is doing all website related aspects and organisation. 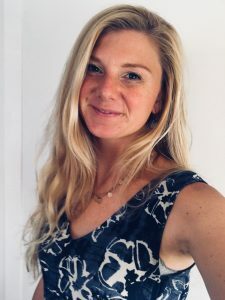 You will definitely meet her in the surfcamp, she loves to tell about her great stories of her Morocco & surf experiences! Our small Nasser, is already a great surfer! A smile all day long, and loves to take you in the water. His enthausiastic vibe makes you fall in love with surfing even more, you won’t be able to get out of the water, with him on your side. Every day he serves you a cup of tea, and talks some English. He is on a internship with us and in the future he want to become a pro-surfer. Daily surflessons, surfcoaching and surfguidings provided by Pro surfer & ISA certificated surfinstructor Zouhair Houmay. In the most beautiful accommodation in Tamraght we offer accommodation for surfers and travellers. Go sandboarding, join the expedition to Paradise Valley, drive a quad or visit the collorful souks of Agadir. There is so much to discover! At Surfcamp Surf Paradise Morocco we recycle waste, to use it for our ecologic garden. Take a look in our organic garden! And help us to reduce your waste! The surfhouse is builded to create a natural comfortable aircondioned climate inside of the house. We reduce our use of electricity by using solar panels to warm our water. Please think about your electricity use during your stay with us! Switch the lights off when leaving your room. Learn how to prepare Moroccan tajines on our weekly cooking courses! We work with local staff to empower the village. We pay fair salaries, and give them opportunities to grow. 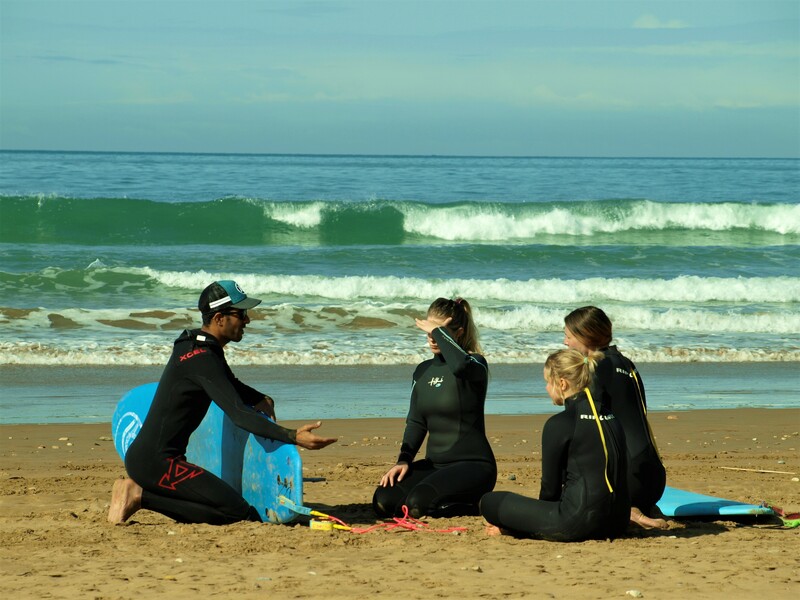 At our surfcamp you will meet the locals and dive into their world. soon: visit locals for a in-house restaurant!